The Story: The Angels are hoping for a fresh start in September. The Monkey Says: A new calendar month is a completely arbitrary endpoint, but whatever helps them get over the mental anguish caused by their awful month of August. The Story: Efren Navarro has been called up. The Monkey Says: They had planned to wait until the end of the Triple-A season, but Pujols has been DHing a lot lately, so they wanted Navarro on board to be a defensive replacement for C.J. Cron late in games. That tells me more about how much time they think Pujols will need to spend at DH as the Angels continue to pretend he isn’t ailing physically. The Story: Matt Joyce still hopes to salvage his season. The Monkey Says: That would require him to get playing time, which I really don’t see happening. At best, he’ll collect a handful of pinch-hit appearances and then maybe a start or two if/when the Angels fall out of the race. The Story: Stepping up for the AL Wild Card. The Monkey Says: Texas, Minnesota and even Cleveland are stepping up, but the Angels have been backpedaling furiously. The Story: Six players who will decide the Wild Card. The Monkey Says: Heaney? OK, yeah, he’ll play a big part, but it really is all about Trout and/or Pujols carrying the offense like they did before. The Angels need rotation stabilization, but they need a productive offense more. The Story: ESPN “experts” predict the MVP in each league. The Monkey Says: It is officially Donaldson’s award to lose, but there’s a lot of recency bias there. If Trout gets scalding hot and the Halos jump into the last Wild Card spot, he could leapfrog Donaldson again. The Story: A somewhat more favorable scouting report on Roberto Baldoquin. 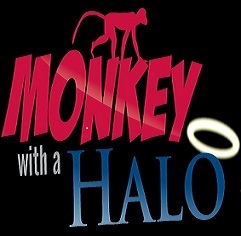 The Monkey Says: OK, so not exactly glowing, but at least it sounds like there is a bit of talent there. It seems virtually impossible that Baldoquin is ever going to justify his huge price tag though. He was never supposed to have a very high ceiling, but he was supposed to have a high floor and right now it sounds like he’s fallen through the floor and is stuck there like Tom Hanks in The Money Pit.